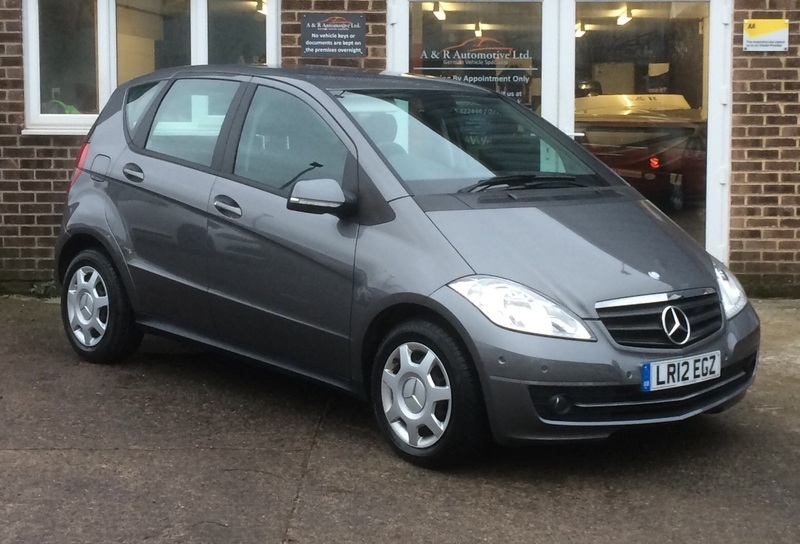 This very low mileage A160 petrol Auto has covered just 18500 miles from new and been serviced every year at Mercedes Benz at the following intervals 20/03/13 @2864 miles. 20/03/14 @ 5806 miles, 19/03/15 @ 8502 miles, 16/03/16 @ 12507 miles, 21/03/17 @ 16181 miles, 21/03/18 @ 18105 miles. It is lovely condition and drives without fault as you would expect. It also comes with 2 keys and a new MOT without advisories.